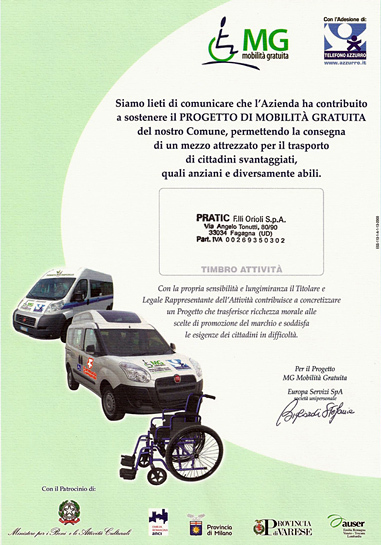 Pratic F.lli Orioli has contributed to support the MG PROJECT (project for free mobility) of the city of San Daniele making it possible to give a vehicle specially equipped for the transportation of disadvantaged citizens, such as the elderly and disabled people. 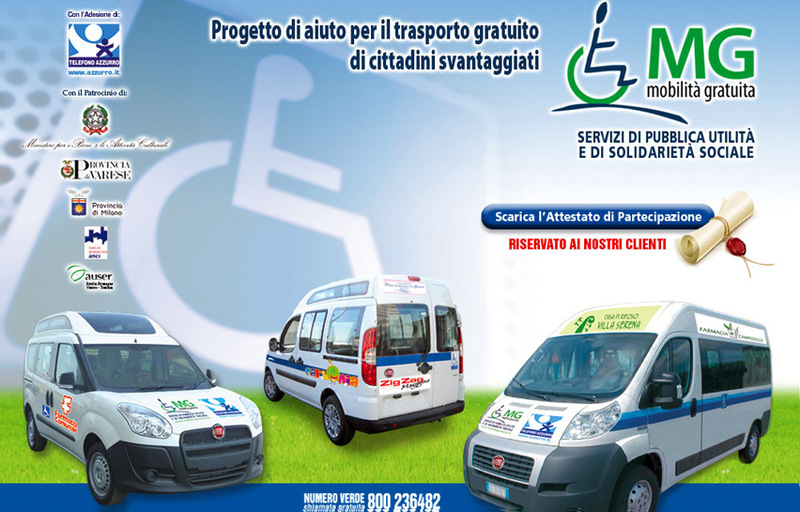 MG Mobilità Gratuita (Free mobility) is a sustainable solidarity program based on the close collaboration of public and private authorities in order to improve the living conditions of the weakest citizens of the community. With its support, Pratic has contributed to realize a project that, as well as satisfying the primary needs of the citizens in difficulty, gives moral richness to its choices regarding the promotion of the brand.